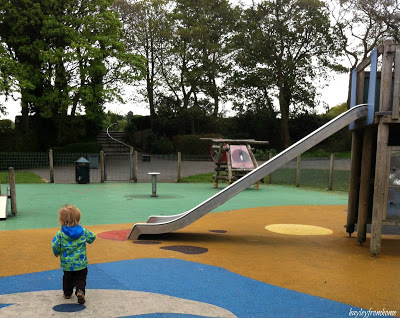 This week we haven’t done anything new or different for our outdoor fun, instead we did go back to our usual playground and park which we haven’t been to for a while. Since we have a bit of garden space now we’ve been using that to get some fresh air but I love to walk so we went out early in the morning to the playground. Lucas had a good run round and a play, made some new friends (as he always does) and then we went for a walk round the lake. It is lovely to see the springtime blossom and the new flowers blooming! Sadly we didn’t see any ducklings but I did spot a swan on her nest of we will hopefully see some fluffy signets soon. We weren’t living here last spring so it’s been nice to wander on our familiar trail and see how different it all looks. Our pictures are still looking a bit grey; dreaming of the days we can go on our walk without a coat! Lovely to see all the green around, the Country has sprung into life this week. Looks like a welcome bit of fresh air even if it was a little overcast. Looks like a very underutilised playground too. 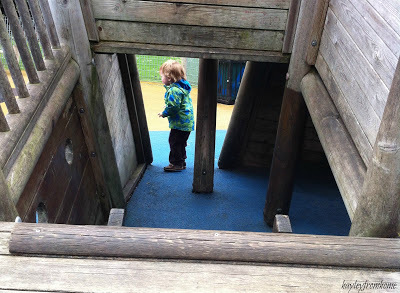 When mine were young playgrounds were always packed, where does everyone go these days? Thank you for linking up. You’re right Fiona, I remember playgrounds always being so busy when I was younger! This one does get cusy in school holidays but most of the time it is quiet, great if you have a little one and don’t have to worry about him holding children up on the slide! 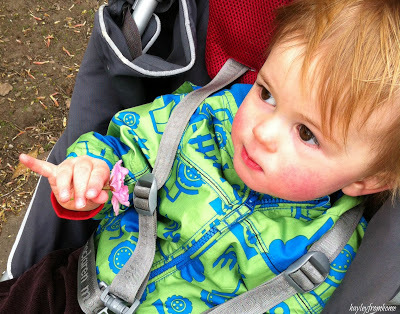 i was only thinking today as I drove past the park, that I havent taken the boys to the park for a while now. since we moved and now have a garden i dont need to go as much as we once did! Looks like a really lovely place you must have been out very early it looks so peaceful. 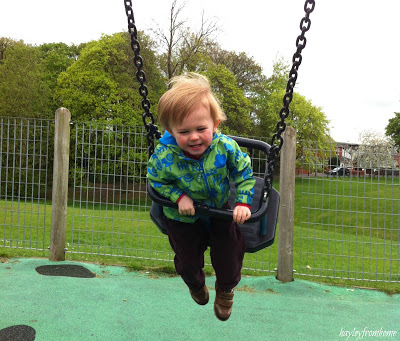 I really like that last photo on the swing – great fun.